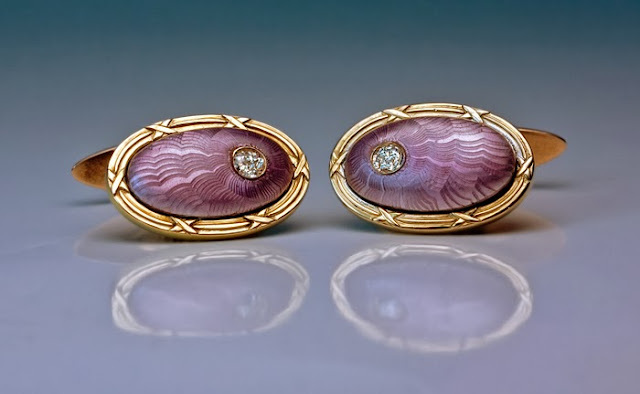 In today's Fabergé post I have something for the men - a pair of cufflinks - made by workmaster Henrik Wigström, sometime between the years 1908 - 1917! 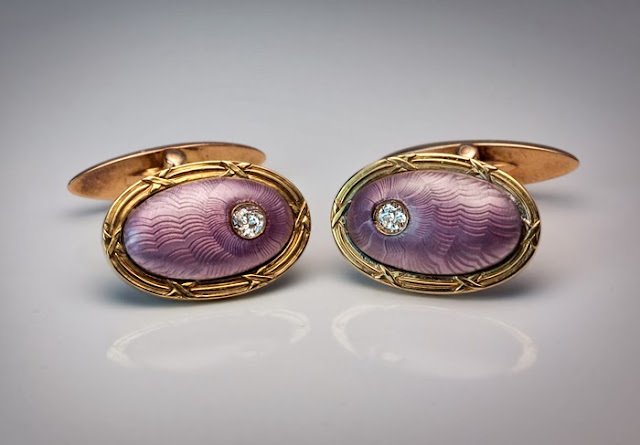 These oval cufflinks are made of gold, and covered in lilac enamel over a guilloché ground. The enameled center plaques are set in ribbon-tied reeded gold frames. Each plaque is also decorated by an old cut diamond. 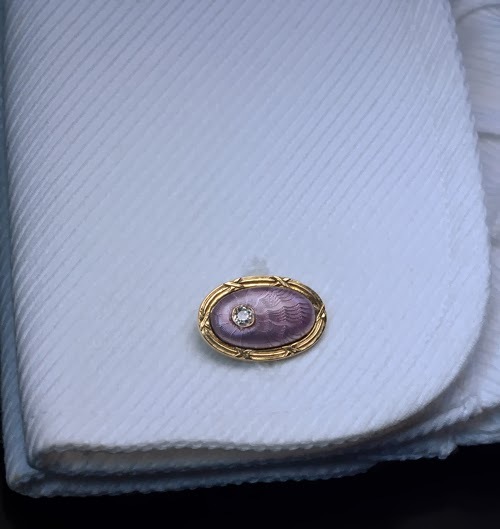 I love how tiny and beautiful yet still detailed they are Miss Meadows, very pretty indeed!